Teams of students will go through three iterations of game design. An individually-written policy memo serves as a preparatory assignment for each round. The respective contexts of the games are the flight of a refugee from a location in South Sudan, the construction and operation of an NGO-managed camp for Rohingya refugees who have fled to Thailand, and the resettlement of a group of Afghan refugees in a relatively small community in the USA. Complete instructions for all of these game design exercises are at TeachersPayTeachers. 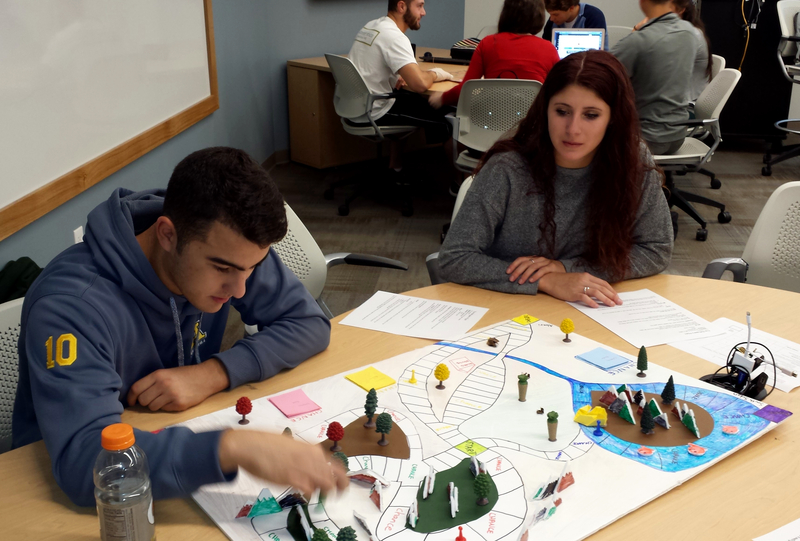 Teams design their games in class over a few days and then they beta test each other’s games, evaluating them against a rubric. Points from the rubric get added to each student’s grade. Teammates also evaluate each other for points. While students generally score the games of other teams as perfect or near perfect, they can’t do this when evaluating their teammates — deliberately so, on my part. For this year, I decided to take a more formal approach to game design and put links to Parts 2 through 6 of Tomer Perry’s series on the subject in the instructions for each game, along with this statement: “The game should reflect the design principles discussed in these articles, which will also be relevant to the final exam.” I also changed the beta test rubric from the year before. I’ll make the final exam and the rubric the subjects of separate posts.